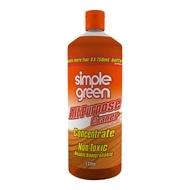 Simple Green 1L Orange All Purpose Cleaner Concentrate makes up to 5 litres when mixed with water. 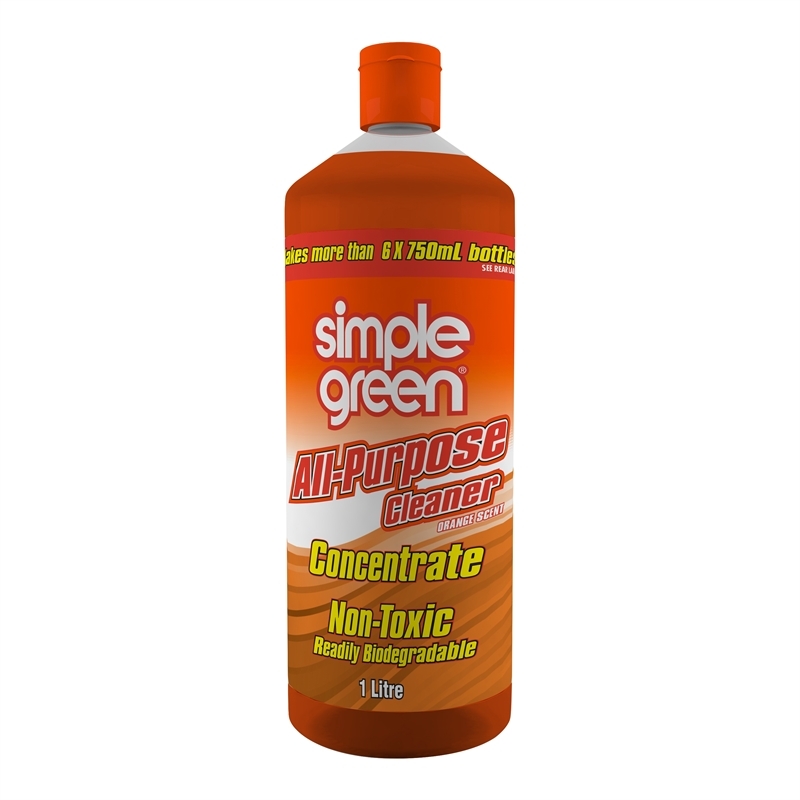 Simple Green Orange All Purpose Cleaner can be used on any washable, water-safe surface in your home. Yet the formula is strong enough for heavy cleaning and will clean bathtubs, stove-tops, floors, walls – even engines and tools. It safely cleans tough soiling like cooking grease, dirt, food soils, pet soils, oil, soot, and more! 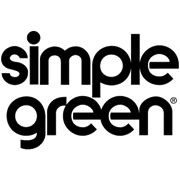 • Any washable, water-safe surface in your home can be safely cleaned with Simple Green Orange Concentrate Cleaner.